Viral vector and plasmid DNA manufacturing plays a major role in modern healthcare, as it reduces disease management price by generating a wider range of immune response types and supporting to decrease the periodic medication dosage. The global viral vector and plasmid DNA manufacturing market size was valued at US$ 290.0 million in 2017, and is expected to exhibit a CAGR of 22.5% over the forecast period (2018 – 2026). Viral vector and plasmid DNA manufacturing is used in application of gene therapy to diagnose and treat diseases in patients. High prevalence of cancer is expected to propel demand for gene therapy, which in turn is expected to drive the market growth. According to World Health Organization (WHO), 2012, cancer is the second leading cause of morbidity and mortality worldwide, with around 14 million new cases registered in 2012, and was responsible for 8.8 million deaths worldwide in 2015. Moreover, WHO stated that, the number of new cases of cancer is expected to rise by around 70% by the end of 2030. Similarly, according to the International Quarterly Journal of Research in Ayurveda, published in 2010, estimated around 20 – 30% of all infant deaths are due to genetic disorders, and around 11.1% of pediatric hospital admissions are for children with inherited disorders. Furthermore, rising awareness regarding gene therapy is propelling growth of the viral vector and plasmid DNA manufacturing market over the forecast period. For instance, in November 2018, the National Institutes of Health (NIH) launched a new initiative to accelerate adoption of gene therapy to cure around 20 million patients diagnosed with sickle cell disease. However, complications such as risk of mutagenesis, safety and efficacy issues, and stringent regulatory framework are expected to limit the adoption of gene therapy, thereby hindering the market growth. North America holds a dominant position in the global viral vector and plasmid DNA manufacturing market, owing to high prevalence of viral infection in the region. According to the National Center for Biotechnology Information (NCBI) report, published in December 2017, around 98 cases diagnosed with Powassan Virus were reported from 1999 to 2016, with an increase of 671% cases from 1999 to 2016. Moreover, increasing research and development activities in the field of viral vector and plasmid DNA manufacturing is expected to enhance its demand in the near future. For instance, in April 2017, Transgene announced plans for a new clinical research collaboration of investigational therapeutic vaccine TG4010 in combination with Bristol-Myers Squibb’s Opdivo (nivolumab) with standard chemotherapy (CT) as a first-line treatment for advanced non-squamous, non-small cell lung cancer (NSCLC) in patients, which is under Phase 2 clinical trial. 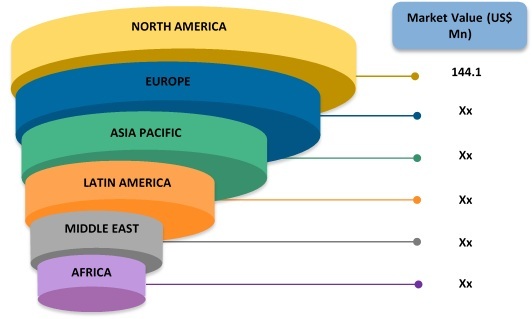 Major players operating in the global viral vector and plasmid DNA manufacturing market include, Kaneka Eurogentec S.A., FinVector, Brammer Bio, Cell and Gene Therapy Catapult, Transgene SA, FUJIFILM Diosynth Biotechnologies, Sanofi, Spark Therapeutics, Cobra Biologics, UniQure, MassBiologics, 4D Molecular Therapeutics, Renova Therapeutics, Shenzhen SiBiono GeneTech Co., Ltd., and Thermo Fisher Scientific, Inc. Viral vector and plasmid DNA is product of gene therapy, which is used in diagnosis and treatment of diseases such as cancer, inherited diseases, viral infections, and others. The therapeutic DNA is introduced in host with the help of a vector. Adeno associated virus based vector are much safer as compared with others viral vectors due to its integration at same site in human genome, and has wide application in various disorders such as Alzheimer’s disease. Increasing prevalence of cancer is a major factor driving growth of the viral vector and plasmid DNA manufacturing market. According to World Cancer Research Funds and the American Institute for Cancer Research, in 2018, there were around 18 million cases of cancer, of which around 9.5 million were in men and around 8.5 million in women, globally. Moreover, government and other organizations’ initiatives regarding awareness of gene is expected to boost growth of the market. For instance, in June 2018 Alliance for Regenerative Medicine launched ARM Foundation for Cell and Gene Medicine to educate, empower, and engage public about cell and gene medicine as a treatment option. The foundation will accelerate patient’s access to safe and curative gene therapies. However, safety and efficacy issues, stringent regulatory framework and risk of mutagenesis are expected to limit the adoption if gene therapy, thereby hindering the market growth. For instance, some viral vectors, such as gamma-retroviruses, insert its genomes at random location on the host chromosomes, which can lead to cancer. Key companies covered as a part of this study include, Kaneka Eurogentec S.A., FinVector, Brammer Bio, Cell and Gene Therapy Catapult, Transgene SA, FUJIFILM Diosynth Biotechnologies, Sanofi, Spark Therapeutics, Cobra Biologics, uniQure MassBiologics, 4D Molecular Therapeutics, Renova Therapeutics, Shenzhen SiBiono GeneTech Co., Ltd., and Thermo Fisher Scientific, Inc.
Shenzhen SiBiono GeneTech Co., Ltd.
*Browse 25 market data tables and 27 figures on "Viral Vector and Plasmid DNA Manufacturing Market - Global forecast to 2026".